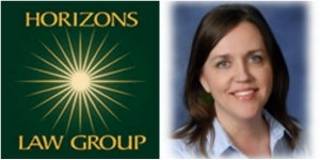 If you are looking for a family law attorney, Horizons Law Group, LLC is the one to contact. We are one of the leading law firms in Wisconsin providing a wide range of legal services in areas such as divorce, family law, foreclosure defense, student loan defense, mediation, probate, real estate, bankruptcy, and wills and trusts. We understand the emotional trauma that individuals suffer when going through a divorce. Therefore, we educate you about your legal issue in a compassionate, friendly and low-stress atmosphere to help you choose the service that best suits your needs. Since 2000, we have provided aggressive legal representation in cases related to family law, child custody, divorce, mediation, paternity, probate law, real estate, bankruptcy, foreclosure, and student loans. Our reliable and dedicated attorneys fight for your rights and are committed to protecting you against injustice. From your initial consultation to the final hearing, our attorneys will be there to assist you throughout the process. Call us at (262) 289-1491 for quality legal assistance. Copyright © 2018 horizonslawwi.com All rights reserved.